Our newly opened Guesthouse is in the heart of Gyeongju city, less than 2 minutes walk away from the Gyeongju train Station-only 150m!! and 15 minutes walk away from a Express bus terminal/( minimum taxi fare). 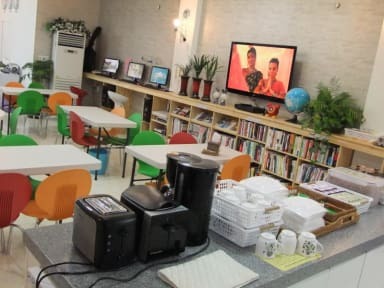 Gyeongju guest house is family-owned and operated hostel. Everything you need to provide a comfortable stay are available! We aim not only to provide a bed for the night, but a space for the exchange of ideas, inspirations, personal reflections and growth. Because that is what traveling is about.